The first formal approach by voluntary organisations towards the provision of mountain rescue in the UK took place in 1933 when the Rucksack Club and the Fell and Rock Climbing Club met in Manchester to develop a stretcher specifically adapted for steep and rough terrain. 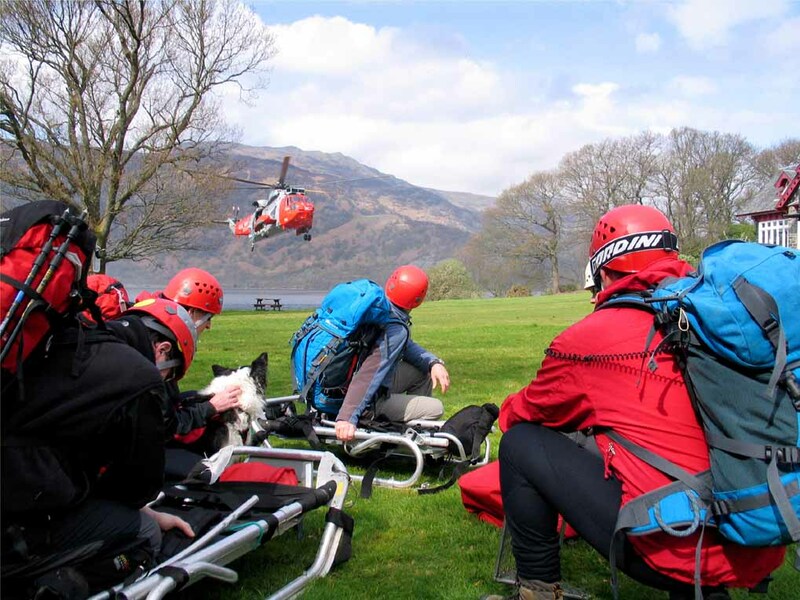 Helicopter rescue Similarly, in Scotland in 1936, the Scottish Mountaineering Club (SMC) installed First Aid Posts in Glen Brittle, Glencoe and Fort William and also considered designs for a stretcher to aid rescues. 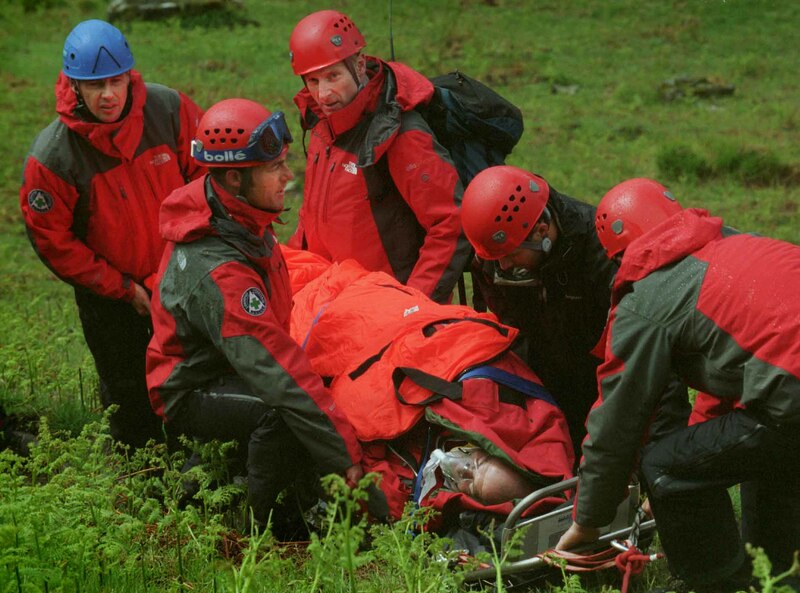 From these humble beginnings the Mountain Rescue Service has developed into the only UK Rescue Organisation providing all terrain, all weather search and rescue 24 hours a day, 7 days a week. In June 1965 in Glasgow, with previous attempts to oversee civilian mountain rescue in Scotland plagued by bureaucracy, The Mountain Rescue Committee of Scotland (MRCofS) was formed. Affiliated to the MRCofS are 23 civilian teams (voluntary), 2 Search and Rescue Dog organisations (SARDA), one Cave Rescue Organisation (SCRO), 3 Police Teams and 2 RAF Teams all supported by Search and Rescue Helicopters. There are also 22 associated organisations including, Police, Fire, Ambulance, RAF and Coastguard. Nowadays, in Scotland, Mountain Rescue receives an average of 450 callouts each year varying from fallen climbers, people missing from home, overdue hillwalkers and stranded fishermen. Similar assistance is given to mountain bikers, horseriders, geologists, botanists and many other recreational and professional users of the countryside. The service also assists in aircraft and train crashes and civil emergencies such as flooding and blizzards that may occur in remote and inaccessible locations. 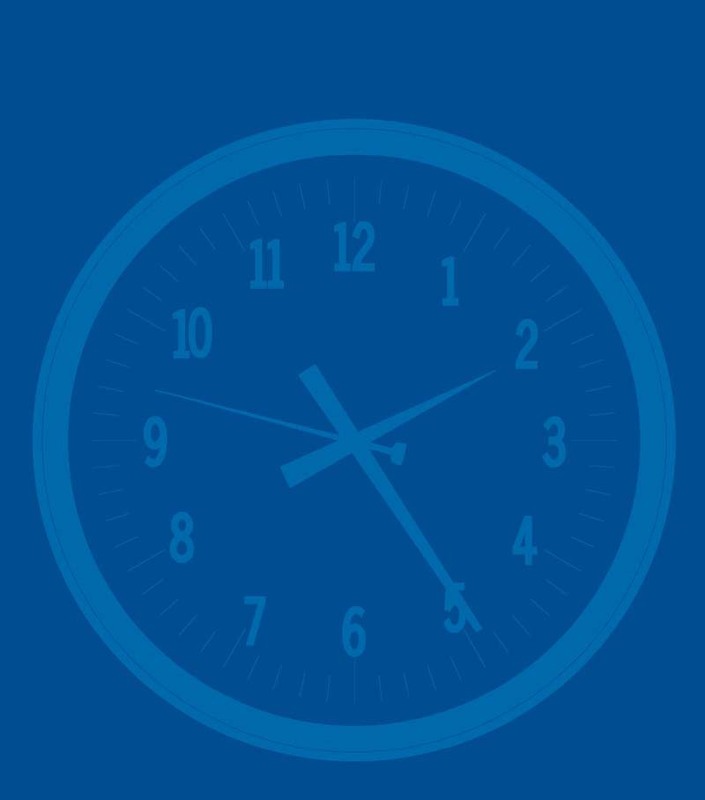 The MRCofS is partly funded by voluntary contributions that go towards training, vehicles and equipment. Visit www.mountainrescuescotland.org for more information and how to contribute.